I love when my mock-up design boards can spur new ideas for actual clients. That is exactly what happened after I completed the design board in the previous post. I had two different clients both love the color scheme. For me it was super fun to design two spaces, both for boys without using blue. It can be done and it can be amazing. I can not wait to show you completed pictures of these two spaces. 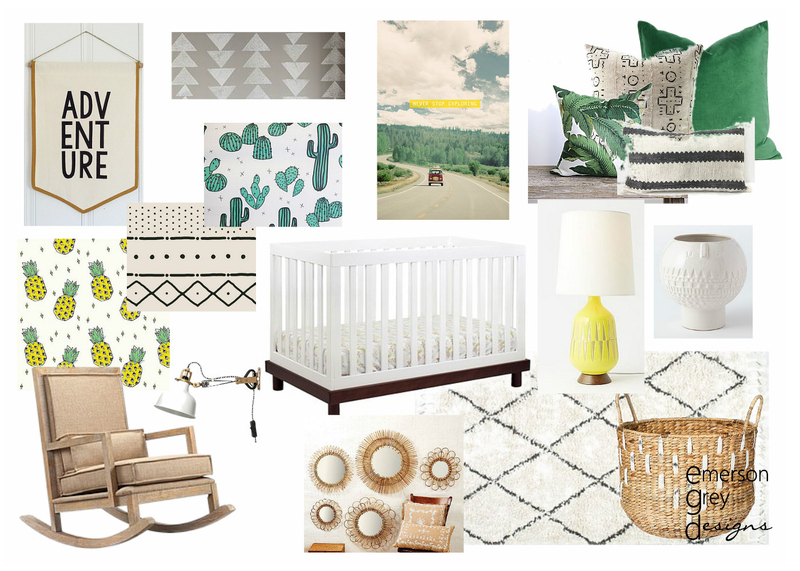 I’ve seen a sneak peak of the nursery one and it is looking amazing! I think this just shows you how anyone can use my designs as inspiration for their own spaces and we can adapt them so they are just right for your own personal wants and needs. 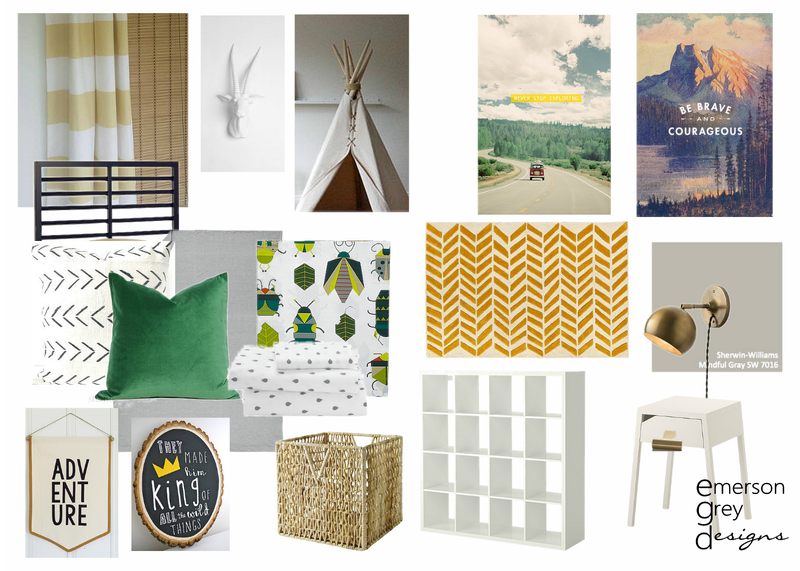 Be sure to follow my blog Pinterest board because that is where I pin all my design boards. Out of respect to my paying clients I do not share sources from their designs. If you have any questions for me regarding my services please email me. Yes, those are really good for nursery as well. And I hope child will get interest with those instruments as well. That's very fantastic to see right now! Mosaic Nursery which is situated in Dubai and my son is studying there. This is a nursery with very big rooms and maximum 16 kids per class. There are well qualified teachers and they do creative activities. Thanks!